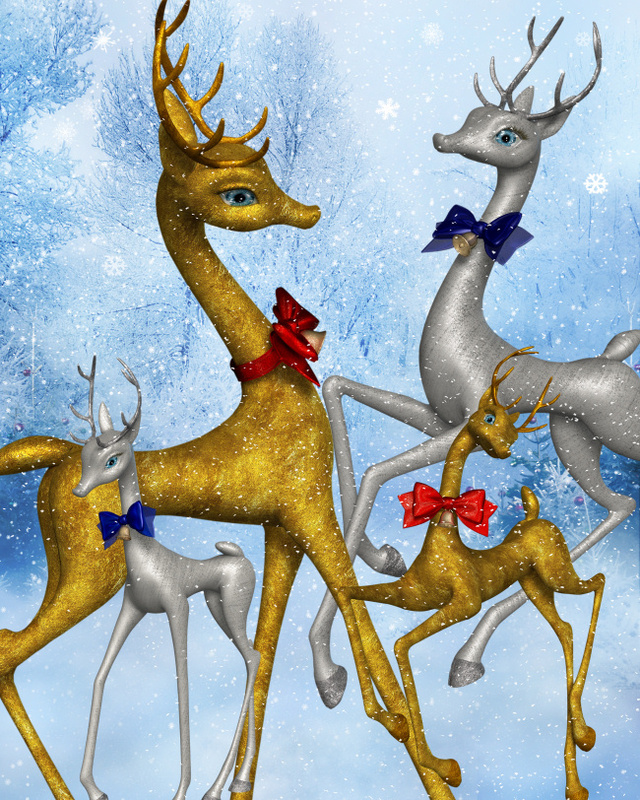 Fancy reindeer in silver and gold. 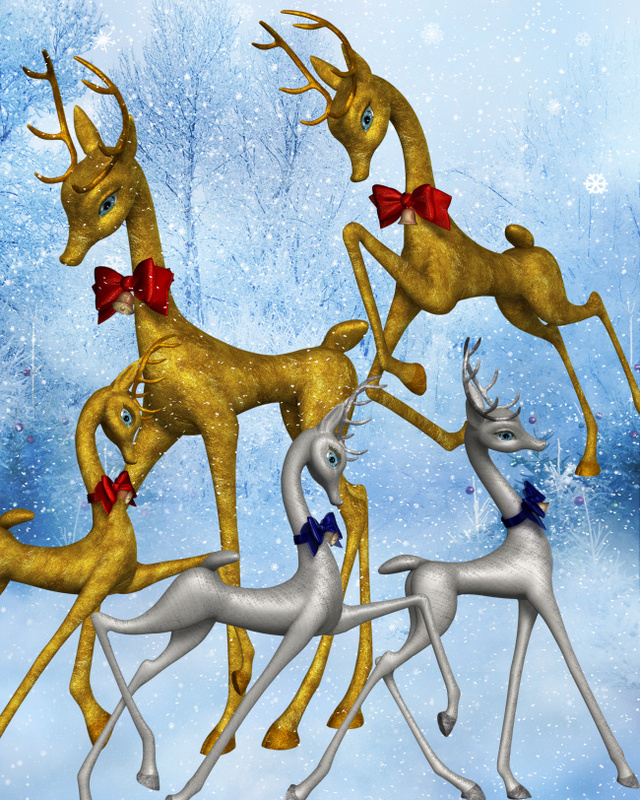 Fancy Reindeer Graphics in silver and gold. These reindeer have a vintage appeal, calling on fond holiday memories of yesteryear. They will be great as the subject in your artwork, for an embellishment for a scrapbook, for tags, or whatever creative holiday project you have in mind. Sized down, they would even make great tree ornaments or decor for a holiday scene. They would look great on a mantel or in a table scene. They wear blue and red bows with silver and gold bells. 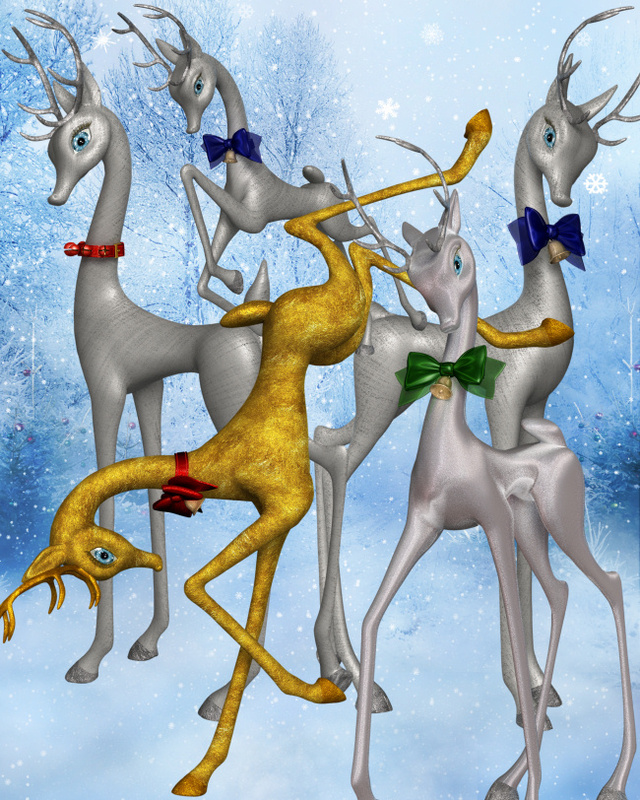 I created each reindeer in both silver and gold, and threw in an extra in a snowy silver. I love the vintage quality of the bows with the bells and thought they’d be great in other projects, so I’m working on another package with them, which I will release soon. These graphics are approximately 2000 X 2300 pixels. All are 300 DPI, making them great for print projects.